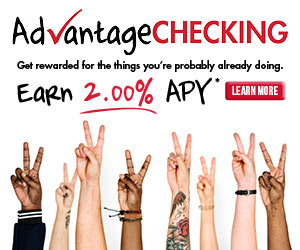 Get the real advantage with Advantage Checking and earn 2.00% APY*! With unlimited transactions, you can access your money however is easiest for you: ATM, VISA Debit Card, checks, and ACH deposits and withdrawals. There’s no monthly maintenance fees and no minimum balance required. Dividends are paid monthly based on average daily balances of $500 or more. See current rates and schedule of fees and charges. *APY = Annual Percentage Yield. Dividends are credited to your account and compounded every month. Minimum balance requirements apply to average daily balance. Account is subject to approval. Call 800.621.4644 for current rates as they are subject to change at any time and without notice. Click here to view full rate disclosures and policies. The benefits you enjoy with your personal FFCCU accounts can also be extended to your business! Businesses must open and maintain both a Business Savings Account and a Business Checking Account. A Business Savings Account with FFCCU earns our regular savings dividend rate on average daily balances of $50 or more. See our current savings rates. A Business Checking Account with FFCCU requires a $50 minimum opening deposit and a $2,500 minimum balance to avoid a $5 monthly fee. Call 800.621.4644 for current rates as they are subject to change at any time and without notice. Click here to view full rate disclosures and policies. We know life can be hectic, and people make honest mistakes—that’s why we offer Overdraft Privilege on our Checking Accounts! This way you don’t have to worry about the embarrassment and hassle of postponing transactions and you can move on with the more important things. So what exactly is Overdraft Privilege? This coverage will allow transactions to process even when funds from your primary checking account are short. * This includes automatic bill pay deductions, checks and/or other ACH transactions. You have an automatic bill pay set up however; funds in your checking account were short. Because you have Overdraft Privilege, we would process that auto payment up to $500 including the $30 fee. This way you’re not late on making your payment and you don’t incur any additional fees from the payee. You wrote three checks, each exceeded the available balance in your checking account. With Overdraft Privilege protection, we would still process and pay those three checks up to $500 including the three $30 fees to do so. This way you aren’t charged any bounced check fees from the payee or their institution. Want Overdraft Protection on your Visa® Debit Card, too? Getting Overdraft Protection on your Visa® Debit Card allows transactions to process even when funds from your primary checking account are short. You can elect this coverage through Online Banking by logging in and clicking on the “Other Services” tab, or contact a friendly FFCCU Teammate for assistance! *For each transaction short of funds, FFCCU will assess a $30 fee. The Overdraft Privilege will cover up to $500 total, including the fees. There are no daily limits on the number of overdraft fees or charges. You have 30 days from initial overdraft to bring your account to a positive balance. FFCCU reserves the right to revoke this service at any time. We may refuse to pay an overdraft at any time, even though an account is in good standing and even though we may have previously paid overdrafts for an account. You may contact FFCCU at any time to revoke your consent for this service.